Mustafizur Rahman has led the charge of the Bangladesh bowlers up the one-day international rankings chart, breaking into the top five with career-best points after the home series against the Windies. Rahman, who picked up five wickets in three matches in Bangladesh’s 2-1 series win, rose to 695 points, and into No.5 on the MRF Tyres ICC ODI Rankings for Bowlers. Mehidy Hasan, the best bowler in the series with six wickets at an average of 16.33 against his name, shot up 19 places to No.28, while captain Mashrafe Mortaza, who played his 200th match and also finished with six wickets, was up 10 spots to No.23. "Winning eight out of 12 ODI series shows we've progressed' – Mashrafe Mortaza is delighted with how Bangladesh have evolved in the format. With Shakib Al Hasan at No. 26, they made it a quartet of Bangladeshi bowlers in the top 30. In more good news for the side, Shakib is now just one point behind Rashid Khan on the all-rounders’ chart. Rahman (up six to No.32) and Mehidy (up 19 to No.38) also showed off-their all-round credentials. For the Windies, the silver lining in what has been a disappointing tour so far has been the performances of Shai Hope and Keemo Paul. Hope, who topped the runs charts for the series at a canter, with two hundreds when nobody else had even one, rose 17 places to break into the top 10. He is now on No.8 on the MRF Tyres ICC ODI Rankings for Batsmen, with a career-best 780 ranking points. Young Paul, who played a vital role with the bat in the Windies’ win in the second match, while also finishing with four wickets across the three games, was the biggest mover, even though he has a way to go in the rankings. He shot up 96 places to No.188 among batsmen, up 28 to 146 among bowlers and up 43 to No.151 among all-rounders. 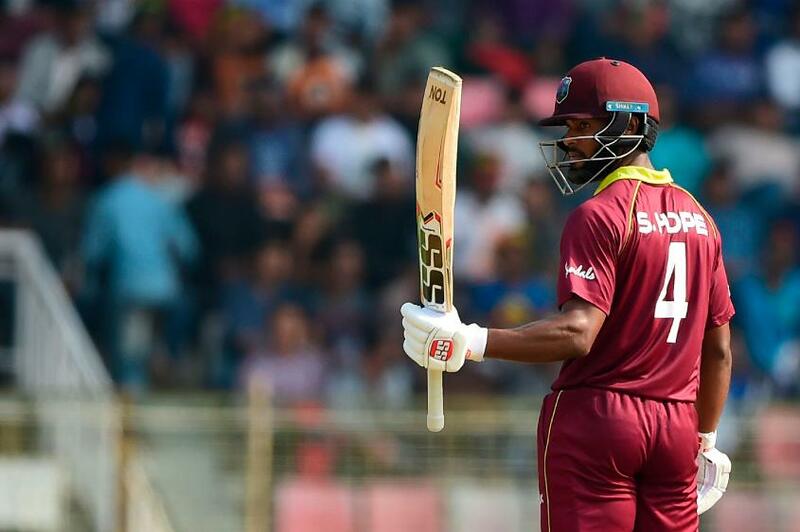 The Windies’ Shimron Hetmyer, however, after his highs in India, couldn’t repeat the performances to slide 14 places to No.40.